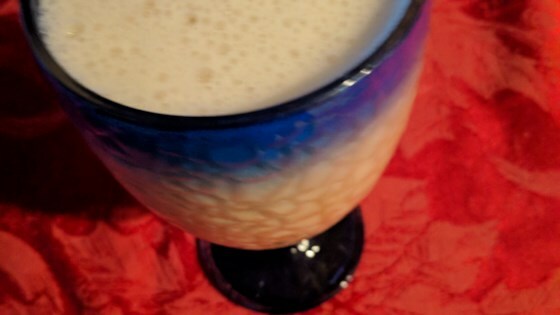 "Very good eggnog with a slight root beer taste. Not extremely thick." Beat eggs in a pitcher until light and fluffy. Add milk, sugar, coffee creamer, vanilla extract, and nutmeg to eggs; beat until smooth. Refrigerate until slightly chilled, at least 15 minutes. Stir root beer extract into egg mixture.